It could be your friend’s birthday party, a wedding, or any other special occasion that fueled your desperate attempt to find some quick tips on how to get rid of acne overnight. Just when all you need is clear and glowing skin, these breakouts appeared without warning, the night before the event. Thankfully, you have just arrived at the right place to find some effective ways on how to get rid of acne overnight. With simple dubs and wipes, you can pull off a clear and zit-free skin in the morning. Here’s what you should do to make it happen. Wash your face with warm water. Use a mild cleanser to wash away the oil and dirt residue on your face. Apply a dab of toothpaste (not gel) on the acne area. Leave it for about 15 to 20 minutes then wash it off and pat it your face dry. You can also use homemade facial masks to help your skin. You can use plain oatmeal to make a mask, since oatmeal is good at absorbing the oils your skin produces and can be easily washed away. Another possibility is using egg whites. But how do egg whites help you get rid of your acne? Eggs contain vitamin A which helps firm your skin, and also has its own exfoliating properties. Another recommendation to help with single pimples is to wet a cotton ball or pad with rubbing alcohol or eye drops, and gently dab at any swollen, irritated acne. Another solution that you can dab over the area is that made from natural herbs. Herbs like burdock, sarsaparilla and yellow dock brings your acne into its more manageable state. You can use tea tree oil, mixture or groundnut oil and lime juice or lemon juice and rosewater solutions on your face. Use whichever is available. It’s also a good idea to remember that nothing makes you feel better like a good night’s sleep. Just don’t sleep on your acne, since the pillowcase can rub against the area and leave it more inflamed and red. If your acne isn’t completely gone in the morning, try holding ice to the area for a minute or so to reduce the swelling and redness. Then simply conceal it with a mineral based cosmetic. Any concealers or powders made with oil can make your acne worse. Many prescription medicines, soaps, and creams promise overnight relief. But for those emergencies that leave you needing to know how to get rid of acne overnight, these tips and tricks are not only more cost effective, they are also kinder to your skin than a harsh chemical. Remember that the more severe your outbreak, the longer it will take to heal. With time, your skin will clear up. All you can do is try to help it along. When looking for answers on how to get rid of acne overnight, remember that your skin is unique and may not respond to some forms of treatment as quickly as you would like. But with these hints, hopefully you’ll see signs of improvement. Are you tired of all the attention those acne draw to your face? Do you feel that you spend too much time trying to get rid of them just to have them return? 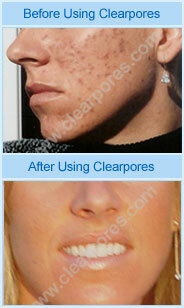 Stop driving yourself crazy and check clear acne overnight info. Also check all about how to remove blackheads quickly. Acne is an a matter of serious concern, particularly for teenage girls, as it sprouts up all of a sudden and its scars stay long after the acne is gone. Irrespective of your dislike for it, acne occurs throughout the teenage years of most people and a lot of effort is required for fighting these bad looking marks and stopping them from recurring. When the sebum secreted by skin glands comes in contact with bacteria, it results in an infection, which is known as acne. During the healing period of this condition, a fibrous protein called collagen is formed. On the level of collagen falling low, tiny depressions are created on the skin and on its level being too high, distinct protrusions appear. Either of these factors can lead to acne scars. Adolescents are normally more susceptible to acne infection as their hormones rise suddenly at the time of puberty leading to more sebum release. Among the common reasons of acne infection are use of beauty products that are not appropriate for the kind of skin, taking contraceptive pills, intake of medicinal drugs, and genetic reasons. A number of lifestyle aspects including diet that is not nutritious enough and mental stress can also result in acne. However, contrary to common perception, there is no scientific link between spicy or junk food and acne. Although a variety of lotions and herbal products are sold in the market to cure acne, it is advisable to seek medical help if the problem aggravates or keeps on recurring. It is also advisable not to poke the lesion with pointed objects or to put any kind of pressure on it as it makes the infection get worse. A number of affected people now go for many cosmetic procedures to make the scars disappear and get a glowing skin. Surgery and laser treatment are among the most successful methods of permanently getting rid of acne scars, but several other innovative cures are also available nowadays. You must visit a good dermatologist who would be able to identify your skin type and suggest a proper treatment. Discover more about the latest laser treatment for Acne Scars and skin blemishes such as Melasma.